Rajasthan being the biggest state for the camel now has become more conscious about camel production. In the supervision of the Chief Minister Vasundhara Raje, the state government has launched a new scheme for Camels in the state namely Ushtra Vikas Yojana. The scheme is designed for the camels only and to encourage the camel birth and production in the state of deserts. On the occasion of Gandhi Jayanti, Raje announced the scheme in an event. The scheme will be activated with joining hands with Animal Husbandry Ministry of the state. Camels are said to be the ship of the desert and Rajasthan is called the state of desert. It is inevitable that camels are as important as other animals in Rajasthan. 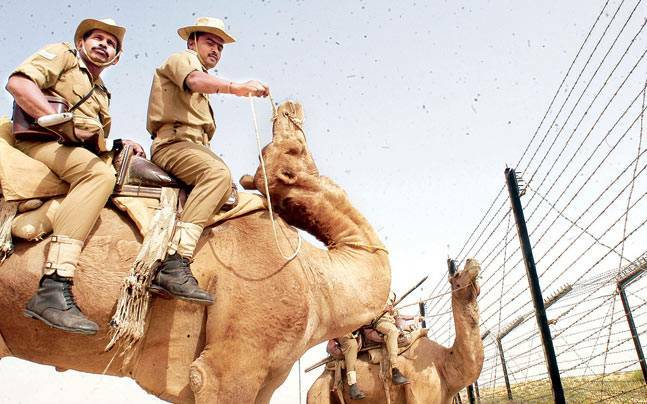 Moreover the Border Security Forces (BSF) in Indian Borders is the main set of people who use camels the most in the border area. Unfortunately the number of camel has been decreased largely in last few years. From million to lakh, the number showed a steady decline in camel production in Rajasthan. Considering this fact as well as the recent Uri attacks and Indo-Pak rift, the state government has taken this initiative to make a better place for the camels in desert area. The main motto of the government is to provide more camels to the BSF jawans as well as to the civilians who live around the desert area. Not only they want to increase the number of camels but also to provide healthier and more active camel. The scheme has launched to encourage camel farmers to breed more camels for betterment of the BSF and the state transport in desert areas. Under this scheme the camel farmer will get Rs. 10, 000/- per calf born. The amount will be released in three instalments. First instalment of Rs. 3000/- will be given at the time of the birth of the calf. The next instalment of Rs. 3000/- will be provided after 9 months of the birth of the calf. The final instalment will be provided after 18 months of Rs. 4000/-. Along with the financial assistance the government will set up medical camps throughout the desert area. Camel suffers from an infected disease namely ‘Surra’. To prevent the disease the medical team from the state government will be formed and they serve many places across the state. To avail the scheme the camel farmer has to full fill some of the criteria. At the first place the camel farmer has to register the female camel in nearest veterinary hospital. Along with this the farmer has to have proper bank account and needs to register the bank account with the scheme. The assistance will be credited to the farmer’s bank account. The scheme Ushtra Vikas Yojana was launched on 2nd October 2016 on the occasion of Gandhi birthday. The state authority also said that they will shortly open training centres for the farmers where they will get to know about the utility of camel products like hair and milk. The training centre will provide detailed knowledge about how to handle animal and profitability from them. There will be research centres as well in near future. The funding of the scheme will be done completely by the state government of Rajasthan. The budget for the first phase was set as Rs. 3135 Lakhs for next 4 years. Once the progress will be seen the budget may be increased. Beneficiaries The farmers with female camels. Those who don’t have female camels, will not be eligible. Medical help The funds will be provided for the medical help of the newly born calves.